So you have the engagement ring (congrats by the way!) and wedding preparations are well underway, when all of a sudden, you do what all future brides do…..you start to think about going on a diet in preparation for the big day! 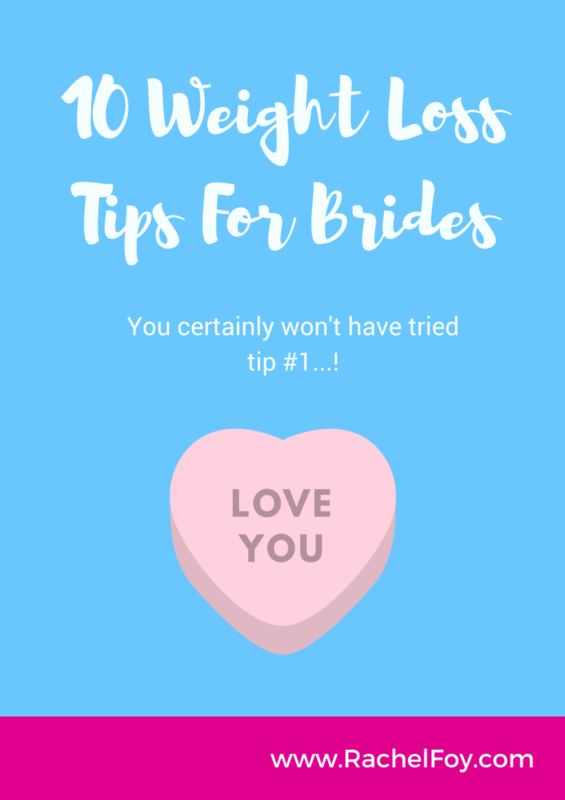 So here are my top ten weight loss tips, just for you my gorgeous bride to be…..
1 Buy a beautiful dress which fits your amazing body! 2 Learn to be happy for who you are! Self acceptance and self love are so important. You body has been there for you every single minute of every single day since the day you were born! She has carried on despite your judgemental comments and she has stayed with you despite your criticisms. Cut her some slack! She’s doing an amazing job at allowing you to fully experience this wonderful thing called life! The scales will only tell you the numerical value of your gravitational pull. They will not tell you how beautiful, amazing and wonderful you are. Your weight is not a reflection of your self worth nor will it ever show you how much you are loved by your friends, family and future husband. Enjoy your wedding day, you are awesome just how you are! 5 Stress Reduction not waist reduction! Use the money you are planning on spending on a diet, detox, cellulite treatment and splash out on a pamper day, spa day or something extra delightful and luxurious for your wedding. Shoes, there are always shoes!!! You can never have too many shoes!!! 7 Losing weight really won’t make you happy. Losing weight is not the key to the ‘happy life’ door. Instead it’s about loving your body. To feel confident in your body and happy in your life, it’s not about focusing on the food and dieting, it’s about focusing on living your life to the full………. something which diets are very good at taking away from you. 8 Find ways to start improving your self care regime. 9 Be your own personal cheerleader. If you had a friend who constantly told you that you were ‘fat and useless’, commented on your ‘flabby tummy’ and your ‘disgusting thighs’ and those ‘hideous stretch marks’ what would you do..?? I’d like to think that you would have the courage to tell that bee-etch to take a hike. The problem is that the friend in question is your inner mean girl, the part of you that constantly criticises and judges your body. Being mean and bitchy to yourself does not motivate you to eat differently or work out more, it just creates the momentum for body hatred and self criticism. So try and image your body as a separate entity, your own personal cheerleader. In order to get the best out of her you would encourage, praise, nurture and love that person; try it, you might be surprised what happens! 10 Think of your body as the most valuable possession you will ever own, and treat her accordingly. Health (particularly mental health which dieting and food obsession plays havoc with) is far more important than what you weigh and what size your wedding dress is. So my lovely, thin doesn’t equal happier, healthier or better. 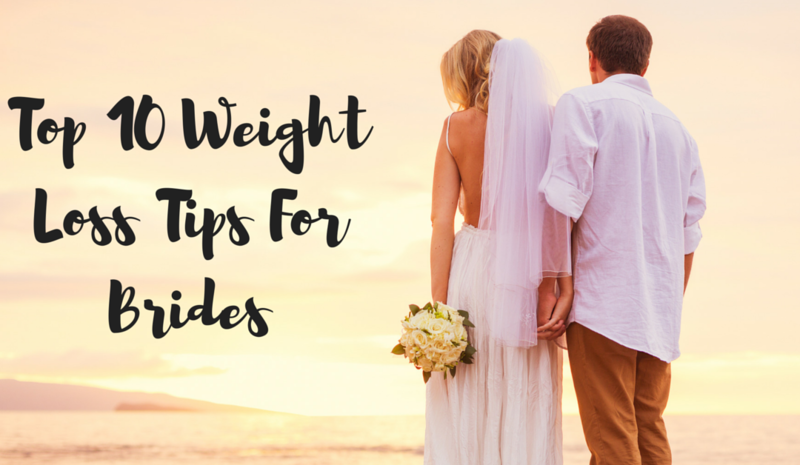 Losing weight doesn’t mean you’ll have a more spectacular wedding than what you will be having already. Forcing your amazingly perfect body to become smaller so you can take up less space in this world and on your big day won’t change anything….it will just add to the pressure and stress of wedding preparation. You are unique, wonderful, perfect, gorgeous and beautiful already my darling. Every lump, bump, wobbly bit, stretch mark and scar and I’m sure your fiancé would agree with me on that one. YOU are perfect in his eyes. Now go and enjoy yourself! Life is for living, not for counting calories…. How to enter: Simply leave a comment below and let me know which tip is your favourite and why? ?